AT Face Value Hair Clinic we are the specialists in hair transplant, hair loss and baldness solutions, we solely treat Follicular Unit Extraction (FUE) hair transplant for our patients by maintaining best quality and hygiene. 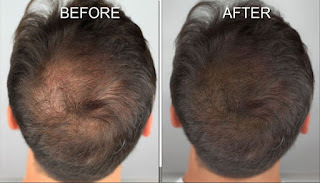 In this Leading edge method of hair transplantation is very specialized and best method for getting maximum outcome out of every donor hair area. What is Follicular Unit Extraction / FUE Hair Transplant? Follicular unit extraction (FUE Hair Transplant) is also known as follicular unit transplantation which is one of the two important methods of getting follicular units, naturally it’s a one group of four hair, for hair transplantation. The other method is called strip harvesting. In FUE harvesting, single follicular units (grafts) are extracted directly from the patient’s donor area, ideally single at a time. This method is totally different from strip harvesting method, where in strip harvesting, a strip of skin removed from patient’s donor area and then separate into many individual follicular units (grafts). The Grafts obtained by both method are the basic building of follicular unit transplantation (FUT). At Face Value Clinic, Our Highly trained and experienced surgeons extracts grafts from donor area of patient, typically from back of the neck, using finest and special extraction instruments that too less than 1 mm in diameter. After extracting, follicles then implant to the recipient area on patients scalp using best stereo microscope in group of four hairs, just as they grows naturally. This is easy, simple and less pain surgical procedure in which patient remains fully conscious while performing the surgery which is given by trained anesthetic. And recovery time is very short and risk is negligible due to less complications. 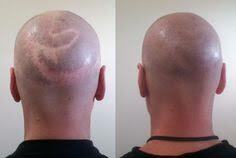 Fue hair transplant differs from normal hair transplant in many ways. The first thing is that it is very perfect process in which none of linear scars noticeable changes. Strip hair transplants, in this method the strip of skin removed form donor area and implant to receiver area of the head. Strip transplant surgery has a long recovery time, compared to FUE. FUE usually recovers is complete within 7 days. However, with strip harvesting, as a part of the scalp is removed, it takes a week for the scars to recover. The results from FUE possible are highest quality and natural and unidentified which is the most important advantage. At Face Value Clinic we are committed to provide best quality hair transplant solutions to our patients and provide FDI guidelines approved services only. We have over 15 years of experience while doing FUE Hair transplant, having experience of doing thousands of surgeries in this year. We have World record maker in FUE Hair Transplantation Surgery. Also one of the Main advantage of doing hair transplant from face value clinic is, we provide what we commits. We ask our patients to count grafts which implanted, which helps to patients that they get what we told to them. After proper guidance, after showing before after video, Surgery videos we ask patient to perform surgery. Provide information, personal guidance from enquiring phase till patient proper recovers. 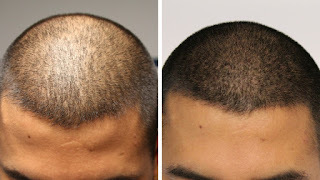 Due to all those care, we got 98% success rate in Hair transplantation and many patients are the witness of our success. The Important thing to keep in mind that FUE Hair transplants can only replace hair from one part of body to another. They can’t create donor hairs. Your hair is valuable resource, and our surgeons take absolute care to safeguard your every hair while doing the procedure. None of hairs are damaged, dropped or lost. Donor hairs are taken from such areas which are not affected by hair loss. In men, this is typically the back of the neck. The Grafts are then transplanted to area of the scalp which is affected by hair loss or baldness with proper attention. Due to all this, you need to visit best clinic if you want best results. Results are depends on the way hairs are implanted. At Face Value Clinic our experienced Doctors are carefully plan your hair growth before implantation so they get to know where and on which angle to place each grafts. It’s a perfect process that takes a lot of experience and expertise, and we commit to provide best results which is worth FUE Hair Transplant, after hair transplant receiver hairs grows naturally as the way it used to. This is highest quality hair transplant available. As this is your natural hair, it will grow exactly as normal hair and main thing “ITS PERMANENT” There is no need for pills and lotions after few months. Just enjoy the natural and Younger look.